"The one who says he resides in God ought himself to walk just as Jesus walked." To walk as He walked, I needed to understand and appreciate in a greater way what it meant that Jesus was fully human. That he was touched with all the feelings of my infirmity. That he was tempted in every way that I am. That he understood weakness, inadequacy, consternation, frustration,and every other human emotion, because he was exactly that...human. As a result the gospel narratives took on a much different perspective to me. In every passage I began looking to see the 'unremarkable' Jesus that lays beneath the 'remarkable' Jesus who drew the crowds, taught with power and authority, performed miracles and ultimately gave himself in sacrifice on the cross. By 'unremarkable' Jesus, I mean the humble, wholly human Jesus that left me steps that I can walk in. And so we come to the first of his miracles at a marriage in Cana. At first blush this is an amazing story of Jesus turning water into wine. But looking beyond the surface, you begin to see an interchange that highlights the development of the ministry of Jesus as he steps into the public portion of his calling. Cana was an unremarkable city in the highlands above the Sea of Galilee. It has no prominence in Jewish history, apart from the miracles of Jesus, and no renown in the ancient world. The couple is rather unremarkable also. We don't know their names, their family history or their connection to Mary and Jesus. The guest list is so unremarkable that no one is of prestige or honor is recorded as attended. Even Jesus draws no particular attention and is himself an unremarkable attendee. And it seems that the event was either poorly managed or underfunded given that they ran out of wine before the celebration was over. But at this unremarkable affair something remarkable happens...and the water turned to wine is only part of the story. As the story goes, they ran out of wine toward the end of the wedding ceremony -- which usually lasted 6 or 7 days. Seeing that the bride, groom and their families were shortly going to be humiliated, Mary takes the iniative to remedy the situation. And in the process makes a very audacious assumption...that Jesus could fix this. The question comes to mind, "why did she even think to turn to Jesus instead of a more traditional solution, like going to the local wine merchant?" I think this speaks to the character of the 'unremarkable' Jesus. I believe that through the years Mary had come to rely upon her eldest son to solve the problems of the household. Jesus is 30 years old at this time, and there are scholars that believe that his father Joseph was dead, and therefore the responsibilty of the family fell on Jesus. No doubt over the years, Jesus had shouldered the responsibilities of taking care of the issues of the household. He knew the weight and burden of family responsibility and proved he could handle it. And so Mary turns to him and says, "They have no wine left." Then she turns to the servants and says, "Do what he says." There is no recorded discussion of alternatives. No weighing of options. No conversation about the what and how. Just a simple statement that put the whole weight of the situation on his shoulders. She certainly couldn't have been expecting a miracle, since Jesus had never performed one. But I think it is entirely possible that she and her son had had conversations about his baptism, trial in the wilderness and the disciples that were now following him. They surely discussed his calling and the fact that his ministry would soon become public. And so she makes the statement, waiting to see what he would do. His response is both very human and very revealing. Scholars have pointed out that his response is respectful, but unusual for a son to address his mother in such a way. And what follows is even more insightful. According to one exegetical commentary: "tiv ejmoiVV kaiV soiv, guvnai … (literally, “What to me and to you, woman?”) This phrase is a semiticism. The Hebrew expression in the Old Testament had two basic meanings: (1) When one person was unjustly bothering another, the injured party could say “What to me and to you?” meaning, “What have I done to you that you should do this to me?” Examples: Judges 11:12, 2 Chr 35:21, 1 Kings 17:18. (2) When someone was asked to get involved in a matter he felt was no business of his, he could say to the one asking him, “What to me and to you?” meaning, “That is your business, how am I involved?” Examples: 2 Kings 3:13, Hosea 14:8. Meaning (1) implies hostility, meaning (2) merely disengagement." From this it appears Jesus had a very understandable human response to the situation. When such a burden is uncerimoniously deposited on our doorstop, we would also likely respond with a certain amount of consternation, possibly annoyance and even frustration...just as Jesus did. His response was not sin, it was rather genuine, authentic and human. After all...what was he to do? I believe He was genuinely taken by surprise by the request of Mary. He had no plans to do a miracle at this moment in his ministry, most especially at this unremarkable wedding. In fact, I'm not even certain he knew whether he could perform a miracle or not. And so, in that moment, under the weight of that burden, Jesus trusted. And in that moment of complete trust and abandonment, it became apparent what he was to do. He saw the simple stone water pots that were used for ceremonial washing -- the simple vessels he needed to hold the wine. And then there was water, the most basic element and essential for all life. This became the source of the new joy that would enliven the wedding celebration. And then there were servants willing to do as he commanded, and trust that they would not be scolded when they took the miracle wine to the master of the celebration. Remarkably, Jesus said nothing over the wine and made no gestures or signs. He did not even utter a prayer for God's help in the situation. He simply had the stone containers filled with water and then had the servants draw from them and take the results to the master. What incredible faith in the moment to believe that the Father would not leave him shamed or humiliated. In fact, his faith was rewarded with wine that became the most remarkable thing about the whole wedding -- the best wine served last! And plenty of it -- up to 150 gallons! And to top it off, someone else got the credit -- the bridegroom! What an example of the humility of Jesus in the midst of an exceptional moment for him. This was his first miracle, but by no means his last. But it was an important step along the journey of his ministry of Messiah. It was a powerful confirmation of his annointing and calling to his mother, his disciples (who now had evidence he was the Christ beyond the testimony of John) and the servants who were privy to what had happend behind the scenes. But I think most of all, it was a confirmation to Jesus himself of God's hand upon him and his ministry. From here the narrative of John takes Jesus to the temple during the Passover where he makes a scourge of cords and clears the temple of the money changers and the sellers. This demonstrates a significant increase in his confidence and surety of purpose. An increase that I believe began at a non-discript wedding in Cana. So how does that story help me walk like him? There are moments in life when we are asked to step up and step into a completely uncomfortable or difficult situation. And at least one person is expecting us to do something to 'save the day.' The lesson of Jesus at Cana is that in that moment, at that exact time, God has a purpose and he will put the resources of heaven at our disposal to do what is necessary. We don't have to be paralyzed with indecision or unbelief. All we need to do is look to him and then look around and see the possiblities in the mundane -- stone pots and water, a few loaves and fishes, a cruse of oil, fisherman that could be apostles, etc. What we need is at hand, all we need to do is trust him and act. 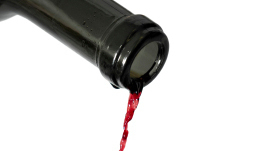 Rest assured, God intends the best wine to be served when our wine runs out!